Barrington Wealth Managers talk student loan debt and Wealth Management strategy. Are educational expenses a significant part of your wealth management strategy? With student loan debt estimated to be in the trillions, you’re not alone. According to US News, the Government Accountability Office reported that between 2005 and 2013, student loan debt among those 65 and older had grown 600 percent from $2.8 billion to $18 billion. While it’s easy to justify debt in the name of education, the consequences of unpaid balances in retirement can be quite serious. If you can’t afford to repay the debt, your loans enter a default status. To recoup the money, the federal government can withhold your tax refund, garnish your wages, take a portion of your social security check, or ask for the entire unpaid balance immediately. Fortunately, there are strategies you can use before or even during retirement to pay down excessive loan balances now, so you won’t be drowning in debt during your golden years. If you’re just out of school, applying for a deferment or a forbearance also allows you to put off payments, without hurting your credit score. A good strategy to consider until you can get on better financial footing. If you’ve got multiple loans to manage, consolidation is another great way to turn multiple loans into one loan and one payment. The best part? Consolidating multiple loans can often result in a lower monthly payment (although you may pay more interest in the long run). These options are great if you’re a young person just starting out, but what if you’re facing a large student loan debt in retirement? One way to stave off the debt in retirement is an income-based repayment program. Offered by the government, Annual student debt payments are capped at 15 percent of a borrower’s discretionary income and, if a borrower is still repaying after 25 years, the government will forgive the amount left on these loans. Whatever your situation, consulting with a knowledgeable investment advisor at mooneylyons.com is an excellent strategy for pursuing strong financial health. Williams, Geoff. 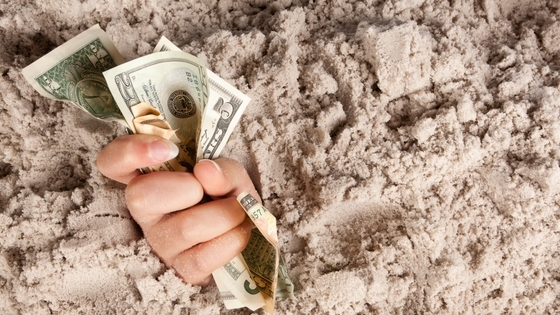 5 Strategies to Dig Out of Student Loan Debt. US News Money. 17, Oct. 2014. Couch, Christina. Facing student loan debt and retirement. Bankrate. Income-Driven Repayment Plans. Equal Justice Works.